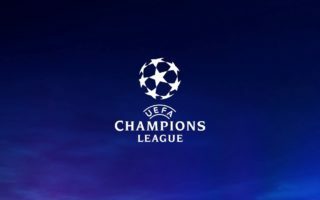 The Champions league is back for matchday 2 and some big games with lots of value are showing up on our predictions radar. 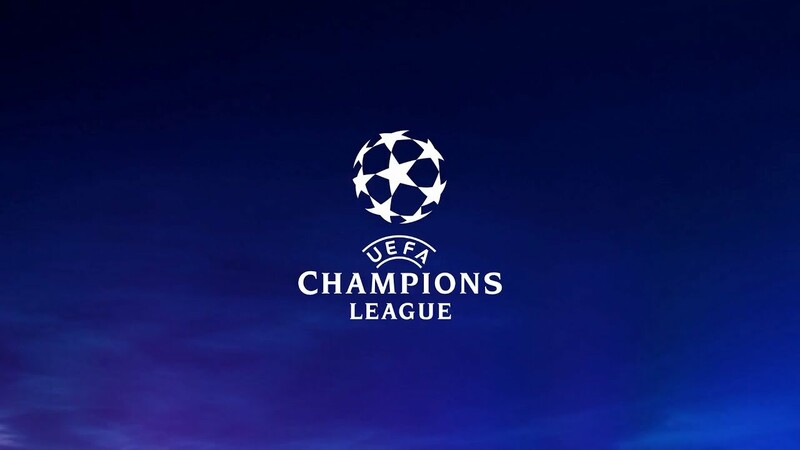 Our match previews for the most important champions league games are here below and also look out for our Champions league accumulators coming soon. Juventus kick off tomorrow against Swiss side Young Boys. The home side come off a wonderful 3-1 weekend win against Napoli to retain a 100% record in Serie A. The away side also thumped their opponents at the weekend 4-1 away to Thun. Young Boys are strong in their domestic league. They boss their opponents around and get the results. They have a young squad (Pun intended). Their prowess however is not shown in the big boy Champions league. They are unable to implement their style of play at the expense of defending the result rather than trying to get a win. Their first game against Manchester United was disappointing with a 3-0 final result. That Manchester side has since lost 2 out of their 3 matches. Juventus are overwhelming favourites to win this tie. They come into this game knowing they will be without some important pieces like Douglas Costa (injured), Sami Khedira (injured) and Cristiano Ronaldo who will sit this one out to serve a one match ban. Nevertheless, the squad they will field will most likely be a 4-3-3 with Szczęsny, Alex Sandro, Chiellini, Bonucci, Cancelo, Matuidi, Pjanic, Emre Can, Dybala, Mandzukic and one of Bernardeschi or Cuadrado. The result for Juventus against Valencia was a show of power by the bianconeri. With Cristiano Ronaldo red-carded after 15 minutes and playing in 10 men for 75 minutes, Juventus were never really in danger of losing that match cruising to a 2-0 win and with Szczęsny saving a last minute penalty to consolidate his super performance. They are equal at the top on points with Manchester United. Max Allegri knows this game is an important step towards qualification from Group stage and will take no chances with a trip to Old Trafford up next. These two sides have never played each other but if Young Boys’ away record in Champions league is anything to go by, this will be a blowout. Roma win their match of the season in what was easily their performance of the season. Their 3-1 derby win against Lazio was a good injection of energy for this side. They have shown flashes of brilliance and at times they look like a contender for the top 3 spots in Serie A and possibly challenging Juventus. In the Champions league, their fate 2 weeks ago was different. The Giallorossi lost a terrible match to a superior Real Madrid side. They lacked energy, movement and cohesion. The team was in shambles and the 3-0 reflect their state of mind at the time. Simply oor defensively with no ideas on attack. The Roma team come into this game as the home side knowing that 3 points here will definitely help their chances of survival in the Group stage. They have 0 points whilst CSKA and Plzen shared the spoils on Matchday 1 to take one point each. A win here guarantees a joint second place in the Group if CSKA beat Real Madrid. So you can sure as hell be convinced that Roma will want the win here. These two sides last met in November 2016 in the Europa League and that game went heavily in Roma’s favour with a 4-1 win. Two other encounters between the two over the years have returned two draws. Both teams to score occurred in each game so it is a possibility. Real Madrid are a powerhouse in Europe. The same cannot be said however for their La Liga form. Their safehaven is the Champions league where they have reached the last stages each year relentlessly. The blancos go into this game on the back of a disappointing derby draw (0-0) and off a mid-week drubbing to Sevilla (3-0). They travel to Russia for this one where Winter is already a reality. The Home side, CSKA, will not be playing in their proper stadium and this may have an effect on the result. Real Madrid have some injury concerns that are worthy of mention. Bale, Isco, Marcelo and Sergio Ramos will NOT play this game and this is important information. These guys have been the backbone of the Real success over the last 36 months. CSKA are able to score at home and have done so consistently over the last games in Champions League. The clashes between these two in previous years date back to 2012 in the group stage. It was a 1-1 draw in Russia with Real taking a 4-1 at the Bernabeu. Taking all the information into consideration – this game is up for grabs. Dream start for Inter in the champions league 2 weeks ago. Coming back from 1-0 to beat Tottenham in the 91st minute gave the neroazzurri the umph they needed. After that win Inter have won all games in the Serie A and have shown great poise. Icardi is yet to get a proper headstart so Inter has still some potential to show. They are heavily depended though on 2 key players. Naingolan and Icardi. These two are the engines of the team and bad performances from these and Inter are in trouble. Both of these will be available for the match against PSV. PSV are strong at home and make no mistake, they do not need second chances. The 4-0 against Barcelona was not as bad as the result says. They were only 1-0 until a complete 2 minutes of madness from Dembele made it 3-0. In the Erdivisie, PSV lie in first place with a 23 goal difference after just 7 games. They are good scorers especially at home. Inter will field their best 4-2-3-1 and will most likely start Keita ahead of Candreva in this one to have a more attacking side. Hoffenheim currently occupy 13th place in the Bundesliga having picked up just 7 points from their opening 6 matches. Their opening Group F match against Shakhtar Donetsk ended in a 2 all draw. They showed great fighting spirit to come back from 1 nil down to go a goal up after 38 minutes. Unfortunately, they were unable to see out the match and eventually had to settle for a draw when Barberan grabbed a late equalizer. City have been dominant on the domestic front but they have been unable to establish a similar dominance in Europe. After losing their first fixture at home to Lyon, Pep Guardiola will be all too aware that his side will need to get a win in Germany. Pep was brought in to translate City’s domestic success into European glory which has so far alluded him. A second loss would bring City precipitously close to Champions League elimination. We are tipping City to take all 3 points at the Rhein-Neckar-Arena. Life at the Theatre of Dreams has been a nightmare for fans of Manchester United of late. Domestically the Red Devils have struggled for form. Rumours of a rift between manager Jose Mourinho and Paul Pogba have continued to grow as the on the field performances have continued to deteriorate. United got their Group H commitments off with a confident win over Young Boys but they face much stiffer opposition as they welcome Toral’s Valencia to Old Trafford next Tuesday. With murmurs of Jose Mourinho’s possible exit by the end of the week the pressure will be on for the manager to prove that he has what it takes to steer this Manchester United to Champions League glory. Valencia lost their opening Group H match despite their opponents Juventus being reduced to 10 men in the 29th minute. On the domestic front they have struggled and find themselves lying in 14th position with just 1 win in 7 matches. With both teams struggling they will both be looking for an important win. We are tipping home advantage to be the difference in this tight encounter. Spurs kicked off their Champions League campaign in the midst of a dip in form which saw them throwing away a 1 goal league at the San Siro. That loss came on the back of two defeats in the Premier League. Pochettino has seen his men turn their form around as they have returned to winning ways in the Premier League. He will now be hoping his men will be up to the task as they host Barcelona on Wednesday. A second loss would leave Spurs facing elimination from the Champions League. Since opening their impressive 4-0 victory over PSV, Barcelona have only managed 2 points in three games in La Liga. Their recent struggles suggest this may be a tight affair. We are tipping the Blaugrana to take the points in this encounter. Napoli played out a bore draw away to Red Star Belgrade in their Group C opener. It is a tough group that also features French champions PSG. This means Napoli will need to pick up some points or risk facing early elimination. The loss to Serie A champions Juventus at the week end leaves Ancelotti battling to keep his players motivated. Liverpool’s season was off to a brilliant start but the last 6 days have been tough for Klopp’s team. They faced Chelsea twice in 4 days losing once and draw the second fixture thus surrendering top spot in the Premier League to Manchester City. Having beaten PSG, Liverpool know a win in this match would leave them firmly in control of Group C.
We are tipping Klopp’s reds to take all 3 points at the San Paolo.